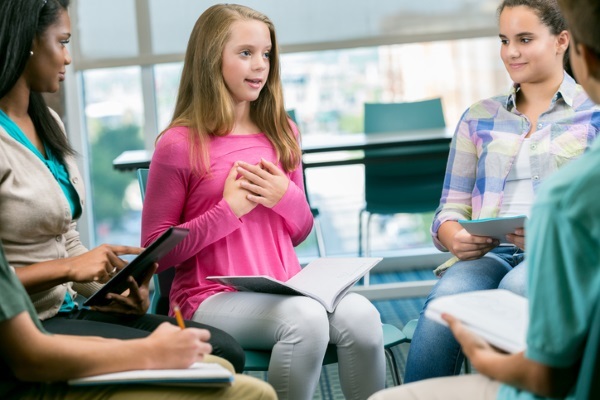 Pupil mental health: crisis, what crisis? In January, the government pledged to provide training and support for mental health services. Is there renewed hope that funding woes will at last be addressed? a review of the ‘health debt form’, under which patients are charged up to £300 by a GP for documentation to prove to debt collectors they have mental health issues. This announcement comes hot on the heels of the ‘Children’s and Young People’s Mental Health: Time to Deliver’ report, from November 2016. This report called for a mental health lead in every school, and while everyone who works with young people would surely agree that there is much more needed regarding access to services, early intervention, education and training, this isn’t a new issue. The Health and Social Care Act (2012) legislated new responsibility for the NHS to deliver ‘parity of esteem’ between mental and physical health in 2012. 'Parity of esteem’ involves ensuring that there is as much focus on improving mental as physical health, and that people with mental health problems receive an equal standard of care. While the renewed focus on parity of esteem is clearly welcomed, along with the increased attention now being placed on mental health, the fact that there appears (from a SENCO’s perspective) to be a significant gap between rhetoric and reality, continues to frustrate families and schools and store up difficulties for young people into adulthood. Quite simply, more needs to be done. The profile of children and young people’s mental health has never been higher. In 1990 there was not a single mention of mental health in UK newspapers and only 9 in 1995; compared with 996 in 2015 (Source: Lexis Nexis via Professor Peter Fonagy). As mentioned earlier, this fresh announcement is welcomed. However, we cannot assume renewed focus will have any tangible impact without appropriate funding. Although it has been reported that the additional training will make school staff better at identifying mental health problems in pupils, should appropriate provision not be available afterwards there will be limited direct, long-term improvements for young people and their families. If schools and teachers are to take a role in mental health, they need to be able to make a referral to mental health services quickly. It seems clear to me that additional funding will need to be allocated to help local areas support parity of esteem. Developing existing approaches to mental health and (potentially) commissioning new pathways will ensure that services are connected more clearly with physical health care and other service provision. Shortages in specialist workforce areas will also need to be addressed. In addition, there is a need for investment in training and education aimed at GPs, nurses and other (school) staff to help people with mental health problems to access the same care and outcomes as anyone presenting physical symptoms. Figures compiled for the BBC by NHS Digital showed that between 2011-12 and 2015-16 the number of patients attending A&E units with psychiatric problems rose by nearly 50% to 165,000, and for the under 18s alone the numbers almost doubled to nearly 22,000. What are some of the facts? Changes in thinking, mood and/or behaviour that impair functioning (Murphey, Barry & Vaughn, 2013) is a concise way of considering what we mean by mental health. It is also important to be aware of prevalence and long-term impact; there are 20% of children and young people affected [with mental health issues] worldwide (Belfer, 2008) and 50% of adult cases originate in childhood or adolescence, 75% by the age of 24 (NIMH, 2005). There is evidence of a significant increase in the prevalence of mental health difficulties between childhood and adolescence (Green et al, 2005) along with reduced quality of life, a loss of economic productivity, destabilisation of communities, and higher rates of health, education and social care utilisation (Belfer, 2008). By 2030, depression alone will yield the highest disease burden in high-income countries, accounting for nearly 10% of disability-adjusted-life-years (Mathers & Loncar, 2006). Whether we believe in a mental health ‘crisis’ or not, Google trends are revealing: the UK is second only to Australia in searches for ‘mental health’ and first for ‘self-harm’. This week’s announcement highlights the need for more to be done, but any words must be backed with action and this can only be achieved with additional funding and direct support. Simply attempting to refocus existing service provision and retrain school staff will have very limited impact in an already over-stretched system. I watch this space with the hope that the increased ‘open’ discussion and debate on mental health will see realised that more appropriate pathways require proper resourcing. I always live in hope. 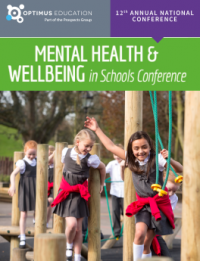 A positive day packed with practical, hands-on workshops and inspirational keynotes, our Mental Health and Wellbeing in Schools event will provide you with the confidence, skills and techniques to support all students in your school. The conference is taking place in London (7th November) and Manchester (23rd November), so reserve your place now! Burt (2016), Self-Harm: Children: Written question – 22945, Parliament. Green, H., McGinnity, A., Meltzer, H., et al. (2005), Mental health of children and young people in Great Britain 2004. London: Palgrave. Murphey, D, Barry, M, & Vaughn, B, (2013) Positive Mental Health: Resilience. Child Trends, publication #2013-3.